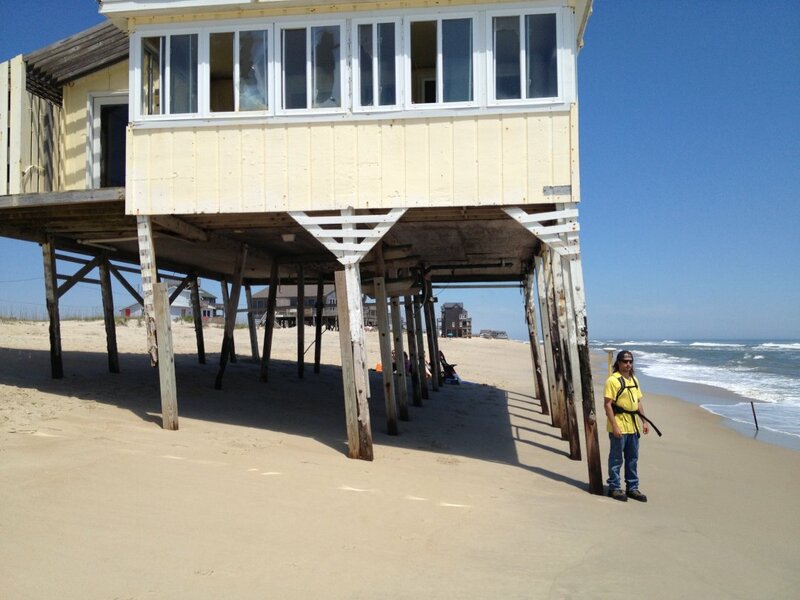 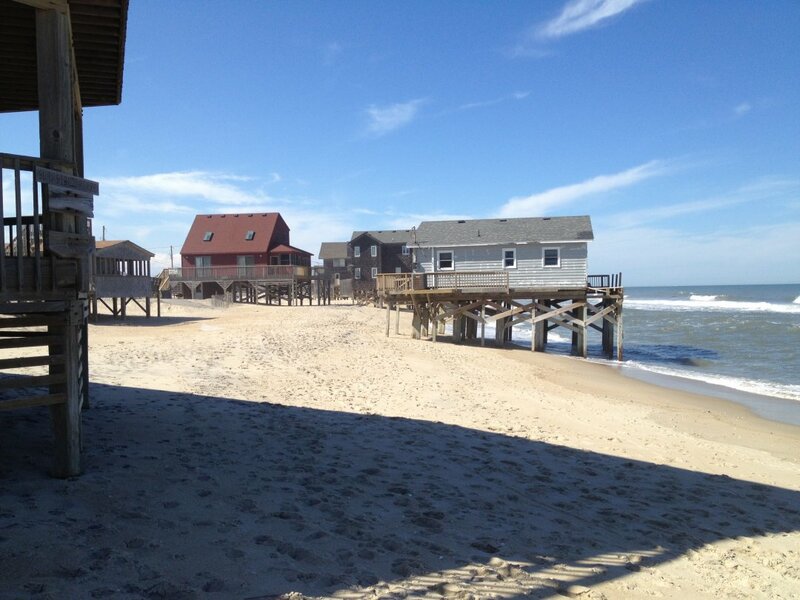 In Rodanthe on the Outer Banks of North Carolina, Geodynamics completed a multi-disciplinary beach and offshore survey project including seamless topo-bathy beach profiles, offshore seafloor assessment of potential borrow areas, cultural resource investigation to identify targets of concern, and underwater video with ROV to ground-truth survey results. 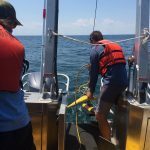 To map and quantify erosion along the island in the area of concern, Geodynamics collected shore-perpendicular profile lines beginning on the Pamlico Sound side of Hwy 12, over the dune, and seaward to a depth of -30ft NAVD 88. This beach survey included breakline and feature mapping along the seaward toe of the dune, the seaward crest of an existing berm, the waterline, and specified depth contours. 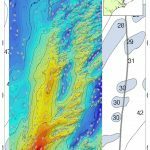 Geodynamics then completed a high-resolution survey of the seafloor surface and sub-bottom for two potential borrow areas offshore. 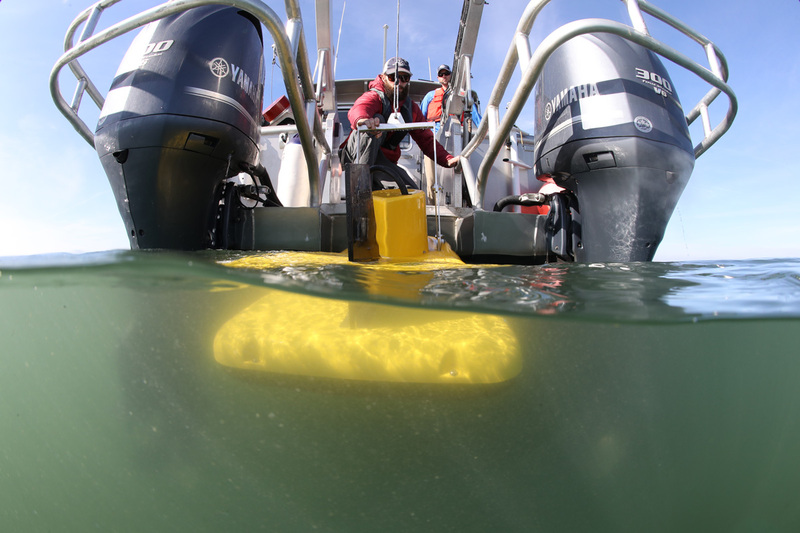 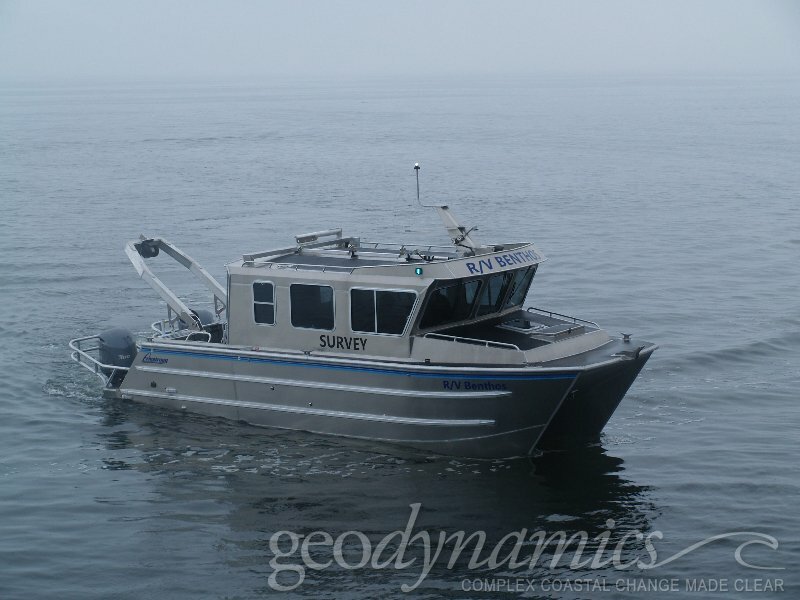 Multibeam bathymetry, acoustic backscatter, and seismic sub-bottom data were collected to accurately assess the nature of sediments at these locations. 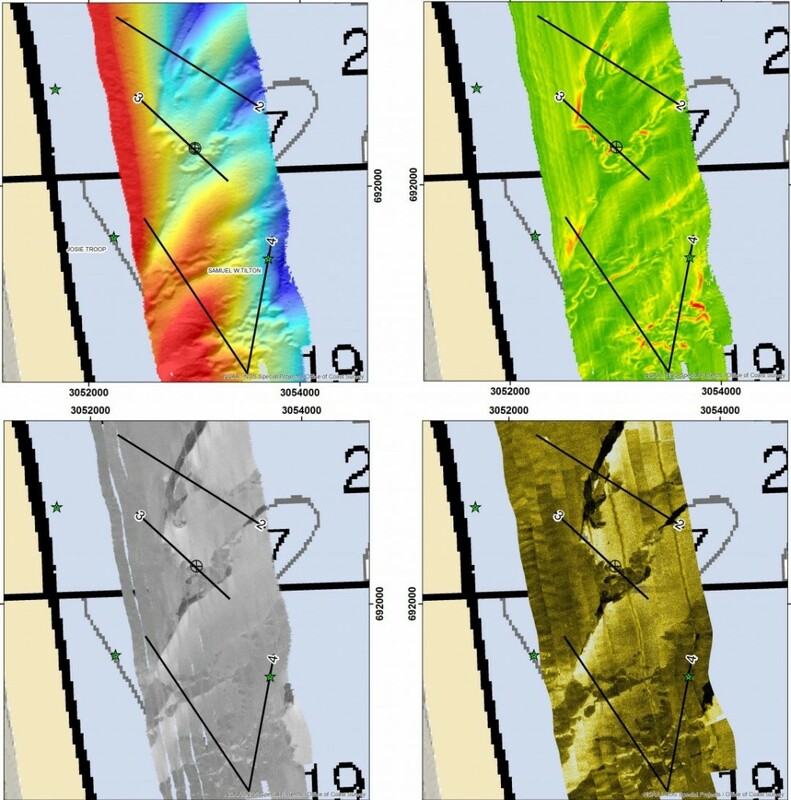 The multibeam backscatter was used to identify areas of complex seafloor morphology, areas of possible archaeological concern, bedforms, and likely surface sediment type that could be used to interpolate ground truth data from sediment samples. 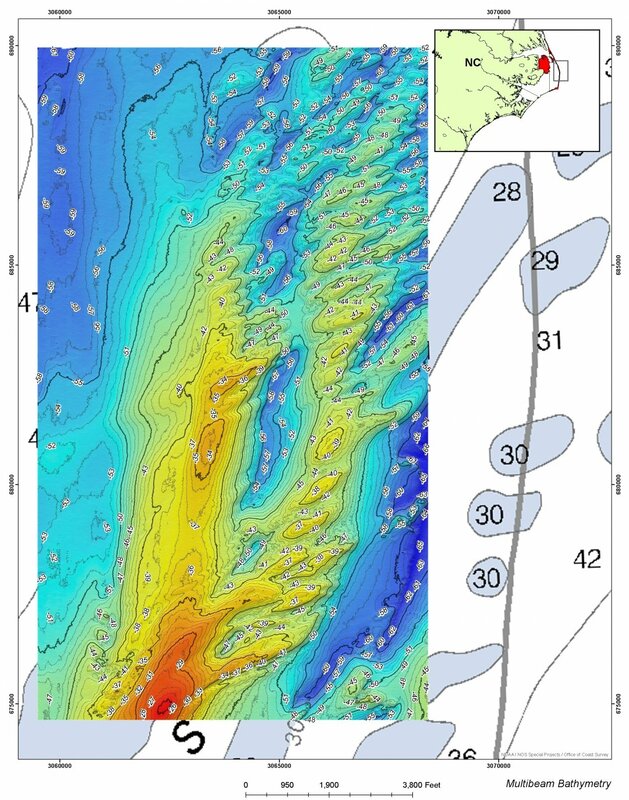 To understand volumes and underlying geology, reflectors were identified using sub-bottom data. 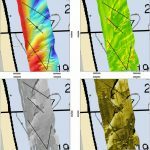 Following the completion of multibeam and sub-bottom surveys, Geodynamics was tasked to collect sidescan and magnetometer data to identify potential targets including cultural resources and environmentally sensitive zones within the project area. 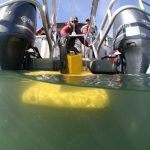 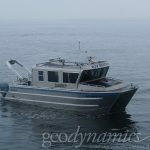 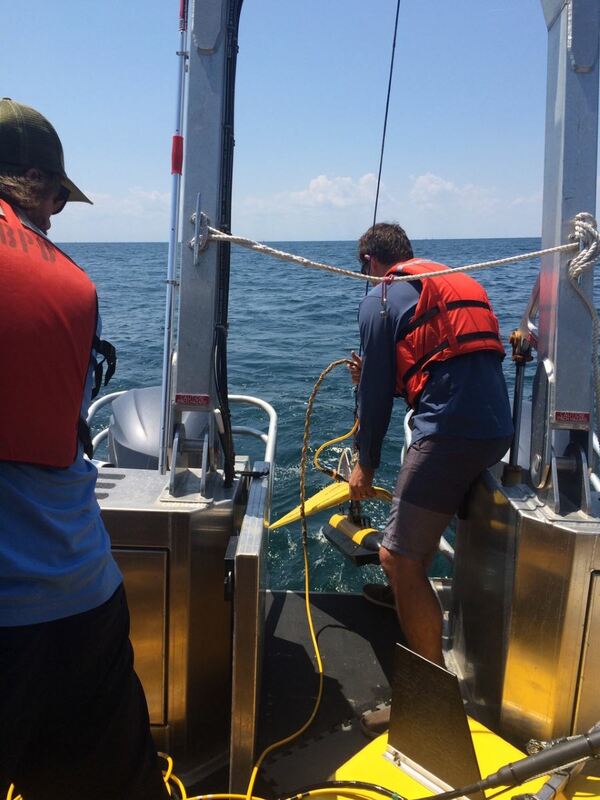 After targets were reviewed by Geodynamics and a marine archaeologist, Geodynamics worked with the Wilmington District to design and execute a ground truth survey using a Remote-Operated Vehicle (ROV) with digital video and RTK-GPS positioning. 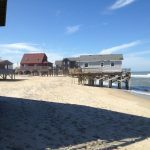 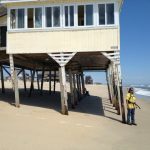 The cultural and environmental information collected satisfy the requirements identified in the MSFMA Essential Fish Habitat (EFH) provision and the Protection of Historic Properties provision of the NHPA and the Federal Abandoned Shipwreck Act.